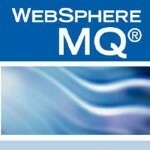 Websphere Application server WAS is built using open standards such as Java EE, XML, and Web Services. It is supported on the following platforms: Windows, AIX, Linux, Solaris, i/OS and z/OS. Beginning with Version 6.1 and now into Version 8.5, the open standard specifications are aligned and common across all the platforms. Platform exploitation, to the extent it takes place, is done below the open standard specification line. If you are looking for real-time online training on Websphere , you will find excellent training at Big Classes. Big Classes will provide you online training by skilled and industry experienced faculty. Every module of the course is specially designed for you to reach your career goal.